Rudy Giuliani, former New York Mayor and member of President Donald Trump's legal team, was in Portsmouth, New Hampshire, on Wednesday to endorse GOP Congressional candidate Eddie Edwards. Rudy Giuliani, former New York Mayor and member of President Donald Trump's legal team, headed to New Hampshire Wednesday to endorse Congressional candidate Eddie Edwards. The Republican is one of five candidates running for the GOP nomination in the 1st Congressional District. 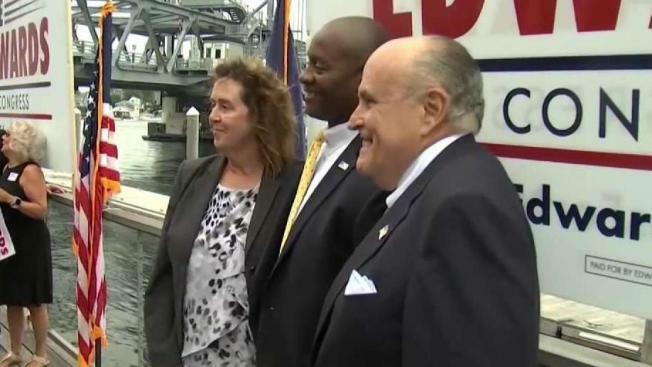 Giuliani endorsed Edwards at a public event at 3 p.m. in Portsmouth. "This is the kind of person we need, a new person to the party, a new voice for very strong principles that have guided New Hampshire and guided the party," Giuliani said. Despite throwing his support behind Edwards, questions were directed towards President Trump and the Russian investigation. At first, Giuliani was asked if his support for Edwards could be interpreted as support from Trump as well. "It is an endorsement for me. I’m actually a free citizen. I mean, the President and I agree on almost all political issues, but sometimes we differ on candidates. 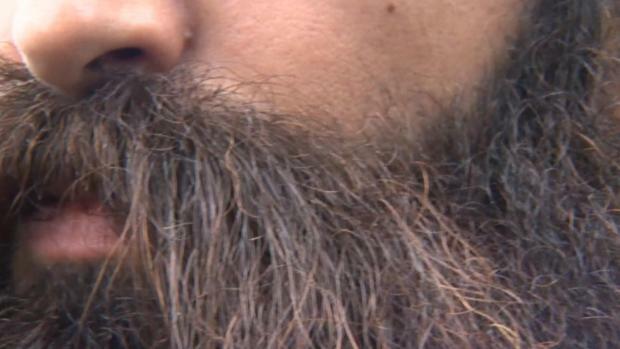 I have no reason to believe he wouldn’t find this gentleman to be a terrific candidate," Giuliani said. Lately, Giuliani has been in the spotlight almost as much as the president for questioning whether collusion is actually a crime, even as Trump continues to deny any alleged ties between the Trump campaign and Russia during the 2016 election. Giuliani says he spoke to Trump early Wednesday and weighed in on the president's latest tweet saying Attorney General Jess Sessions should put an end to the Robert Mueller investigation. "We said this, Jay Sekulow and I, when we heard the statement today, said 'oh goodness, he’s saying the same thing we said'", remarked Giuliani. "I said it about two weeks ago, Jeff said it actually just yesterday on Fox that we believe that the investigation should be brought to a close. We think they’re at the end of it." A private fundraiser for Edwards was scheduled to be held at the home of Wayne Semprini, a former chairman of the New Hampshire GOP, at 6 p.m. According to Fosters.com, Guiliani and Edwards met earlier this year when Guilani was in New Hampshire for a Republican state senate fundraiser.